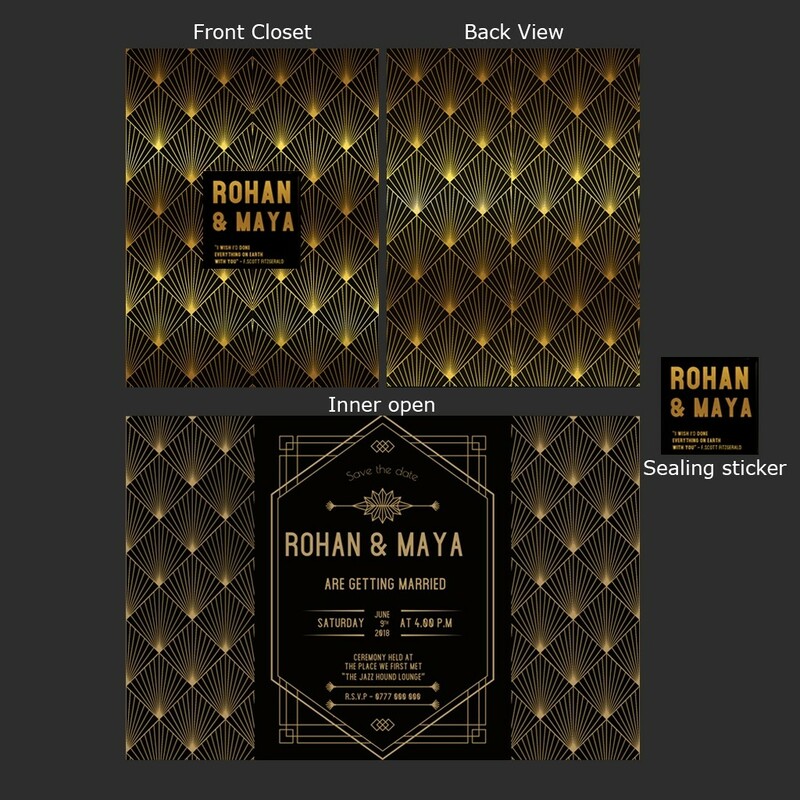 Are you and your spouse to be fans of the roaring 20's and wanting set that as the theme of your wedding? 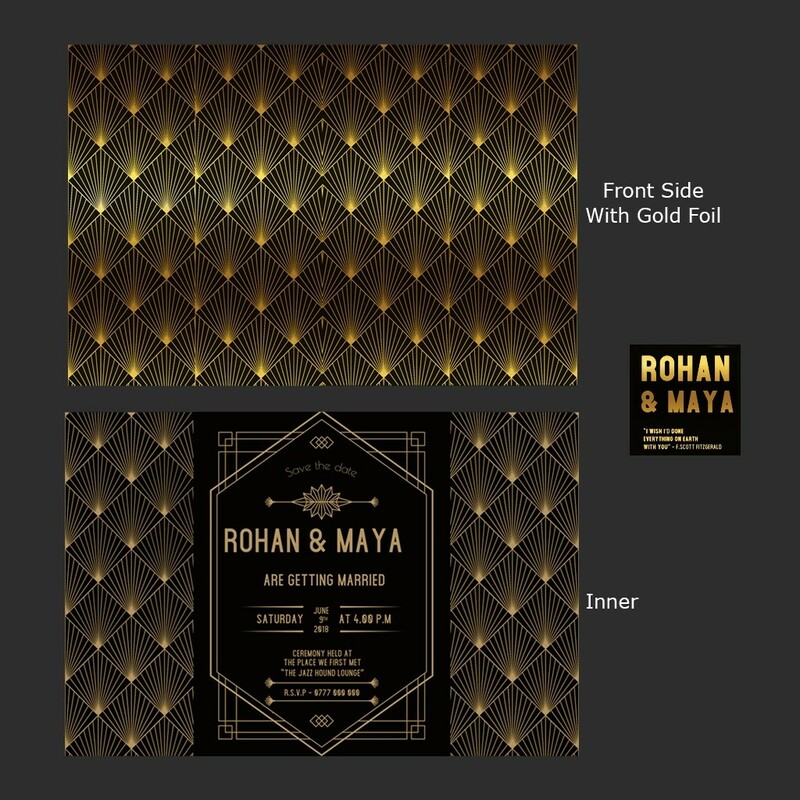 This Gatsby-esque invitation was designed keeping just that kind of taste in mind. 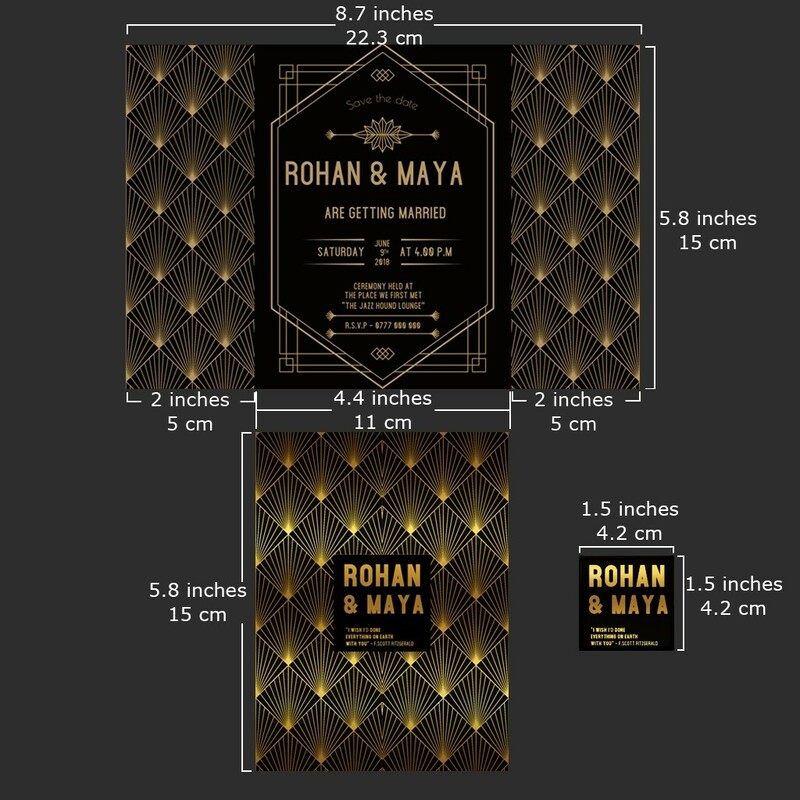 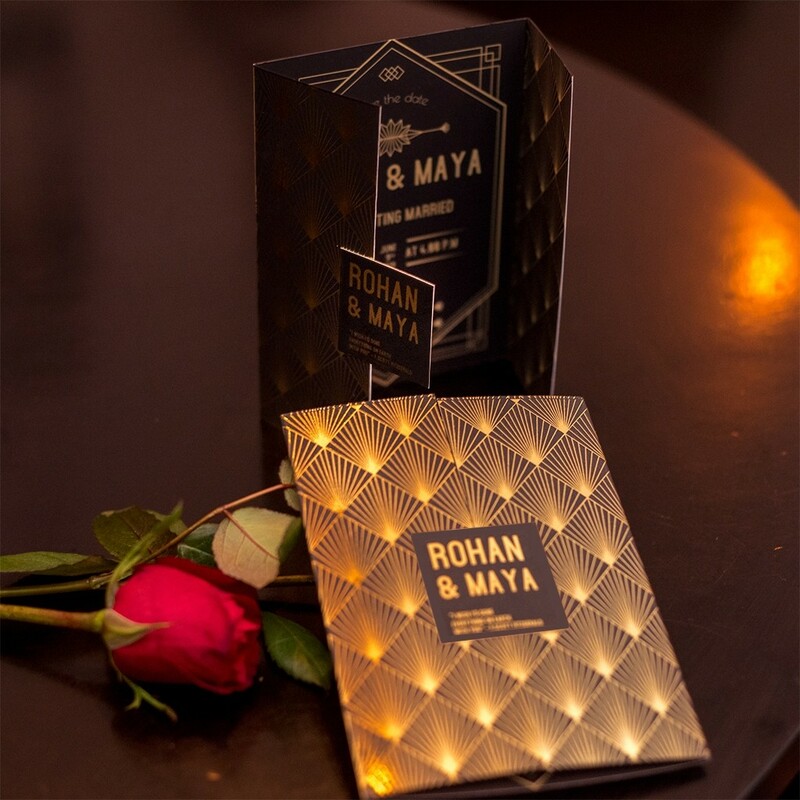 Start the celebrations off right with the perfect wedding invitation that captures the glory and fun of the flapper era in opulent gold foil bling.